You can often hear this yelled by race coaches: "keep the tips even"1. It is a powerful external cue. It is good for fore-aft and tipping and it requires flexing. The basic idea is Keep your feet together especially at the top of the turn. The end result looks like keeping tips even (i.e. neither ski shuffling forward of the other too much), but it's not the best if you did that by pushing the outside ski forward, but instead by pulling the new inside ski back. You have to be careful which muscles you use, to avoid locking the hips and/or upper body: if we're pulling back the entire leg instead of just the foot (from the knee, i.e. 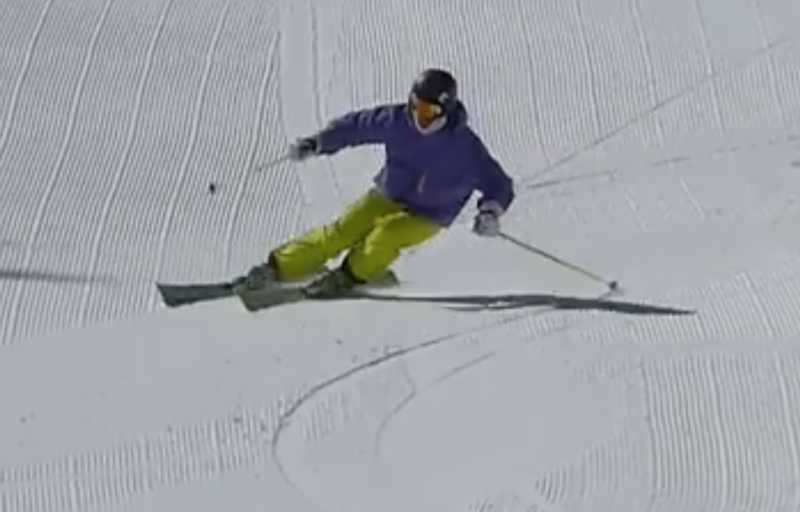 using the hamstrings), then rotation into the turn is created instead of counter (as the inside hip is moving back instead of forward) and the performance disappears from our skiing. As far as drills go, The Phantom is certainly the best for this.